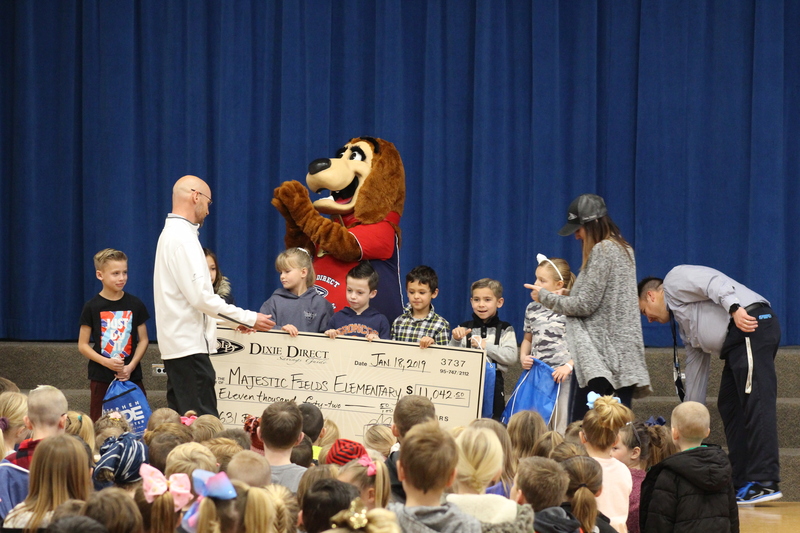 ST. GEORGE — Excitement filled the air for children at Majestic Fields Elementary as they received prizes and a giant check for more than $11,000 from Dixie Direct during an assembly Friday. 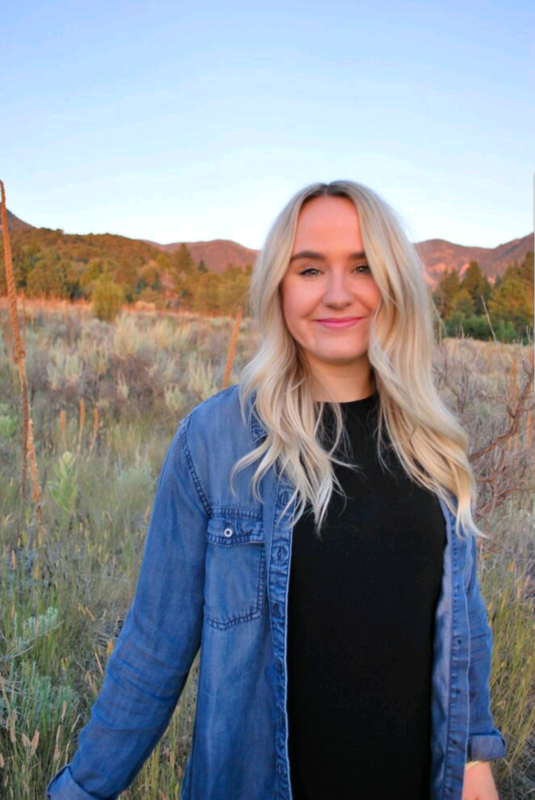 Dixie Direct, a company that sells savings guide books every year in Southern Utah, is in its 22nd year of giving back to schools. When students take the books home to sell to family members, neighbors or friends, half of the proceeds from the $35 books goes to their school. Majestic Fields Elementary, located in Washington City with a little more than 700 students, was No. 1 this year out of all the participating schools. Dixie Direct owner Anthony Chambers said students from Majestic Fields sold 631 books this year, which earned the school a check for $11,042.52. He said the proceeds given to the schools stay in the school and do not go to the Washington County School District. Overall, the more than 30 participating schools in the district have earned close to $280,000 this year; however, Chambers said the final amount is still being calculated. Principal Travis Wilstead said he’s buying 25 computers for the second grade class with part of the money Majestic Fields received. Majestic Fields is the eighth school team members from Dixie Direct have visited this week, and Chambers said they still have 20 more schools to visit in the next couple of weeks. Besides receiving a giant check, students from Majestic Fields and other schools were awarded prizes for selling a certain amount of Dixie Direct books. For students who sold two, they received two miniature golf passes from Fiesta Fun and other prizes. Chambers said each prize package for students who sell two books is worth around $45. Students received even more prizes for selling five or more books or 10 or more books. “Then, we have three top winners, as long as a school sells 300 books or more,” he said. The student who sold the most amount of books received a $300 Visa gift card. Teachers are also rewarded during Dixie Direct’s fundraising time. 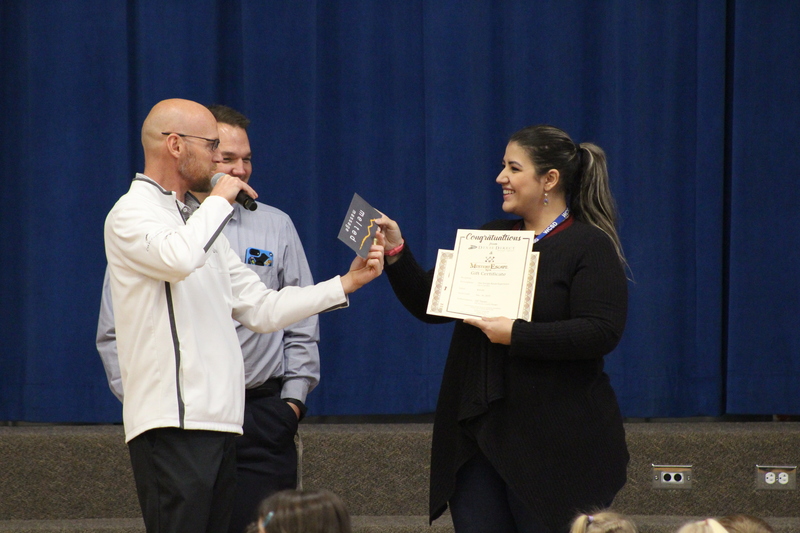 Because her class sold the most amount of books, second grade teacher Lina Figueiredo received a gift certificate for a Domino’s pizza party for her class and a Melted Massage gift certificate. Kids smiled and high-fived “Bogo,” Dixie Direct’s new mascot, when going up to receive their prizes. Chambers said when students take the books home, it’s completely optional if the parents want to buy them. Dixie Direct books can also be purchased at the company’s office on Main Street or at Fabulous Freddy’s Car Wash stores.